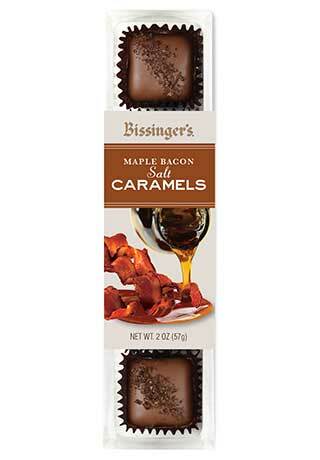 The piece de resistance of our confections. 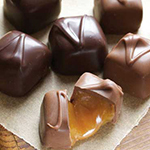 This long-time customer favorite crafts Valencia oranges and time-honored glaceeing techniques to yield a decadent, one-of-a-kind masterpiece. 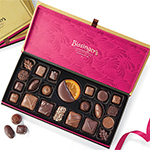 The ultimate in fruit and chocolate. 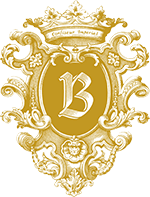 When the Bissinger family came to America, they still had family ties in Europe and knew where to find the finest ingredients that were, quite literally, fit for a King. Today, we continue to source our oranges from Valencia, Spain and use the same time-honored technique to preserve the delicate fruit. Once sliced, they are submerged in natural sugar and bathed for two weeks—allowing the sugar to completely penetrate the fruit—infusing it with a sweetness that is reminiscent of Spain itself. Once these amazing oranges arrive in the States, we dip them individually, by hand, in our luxurious 60% dark chocolate, which produces not only a beautiful confection, but also an unforgettable eating experience. First Lady Laura Bush would often order Bissinger's Glacéed Oranges as a gift for friends and dignitaries. 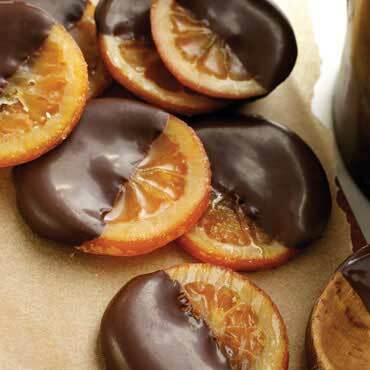 The chocolate dipped orange slices are always a guaranteed delicious special treat! 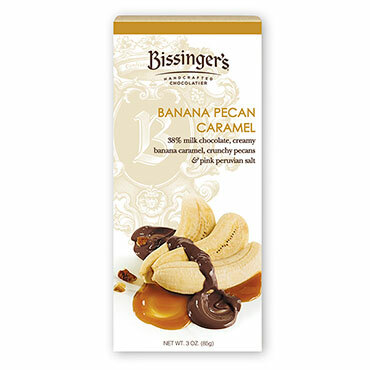 Such a delicate treat with tea - one rarely sees this type of treat nowadays: thank the confection gods that Bissinger's not only makes them, but makes them perfectly! The candied oranges are the best I've ever tasted! I got these for my husband for Christmas and while it is wrapped and under the tree, I know he will be delighted to see what Santa delivered! It is his favorite candy! Glaceed orange slices - impossible to eat just one. The chocolate covered oranges were great. Will definitely get them again. Your chocolate orange glace was every bit as good as you claim only trouble is they went way too fast. i ordered the orange slices, and they came damaged (melted and thrown around). i spoke with customer service, and the order was replaced the next day. excellent service, excellent candy! delicious, as always, my favorite. What a treat for Valentine's Day. One of my husband's favorite things. the best candy made with dark chocolate. most chocolate has milk in it but the molasses puffs and the glaceed oranges do not and I appreciate that the ingredient list is available. These are great. I ordered them last year also. The chocolate glaceed oranges were delectable as always! 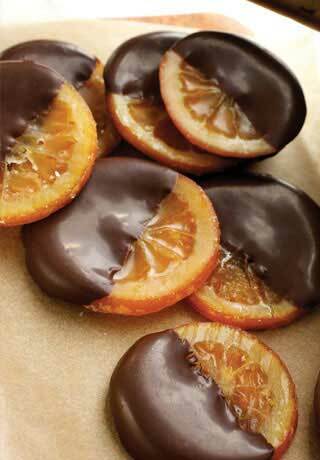 The dark chocolate dipped oranges are my favorite treat of all times! 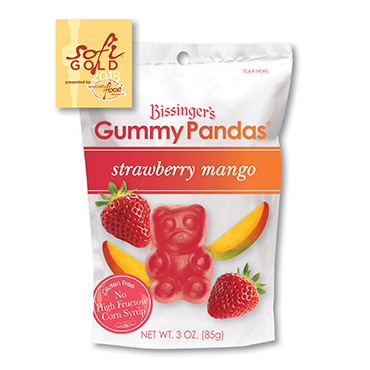 These orange slices are just about our favorite selection from Bissinger's. We hate to eat the last one! The oranges are dried to perfection and layered with a perfect amount of deep dark chocolate...Yum! If the best revenge is to live well, then this is the best ingredient for the best revenge - perfect with a morning (or evening) cup of tea around the Holidays to rekindle forgotten memories of our youth when such items were delicacies enjoyed in a simpler age. Absolute blissfulness. My husband is addicted to your glazed oranges! My husband and I have been long time fans of this delicious treat! Highly recommend! My partner loves everything oranges. These were a huge hit. Okay-these are outrageously expensive. But they are aboslutely wonderful and not something you can find easily! The slices are so big that one piece is desssert! Ten Stars! 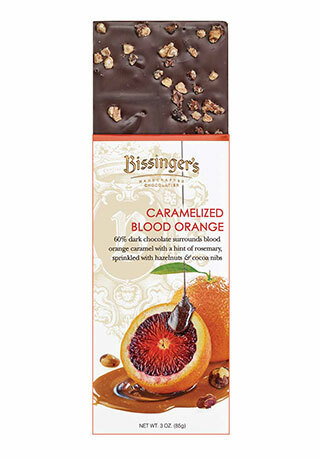 No one makes chocolate dipped glaceed oranges as divine as Bissinger's. 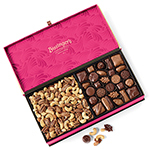 I think I need another box to accurately review this candy! LOL..Seriously, I eat candy all the time! I am just addicted to sugar. 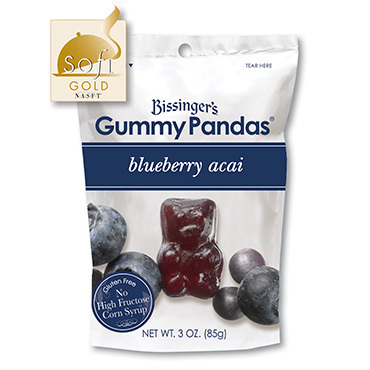 I can honestly say this candy is in the top 3 BEST I've ever had! DEEElicious!!!! A fantastic marriage of orange citrus and chocolate. Absolutely wonderful. Will definitely re-order. The title about says it all! 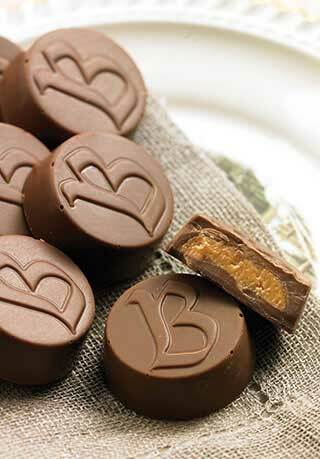 These are really wonderful-the oranges are huge and just delicous (even still juicy) and the addition of B's dark chocolate just makes them one of those things that goes on many list of "If they don't have this in heaven, I'm not going!" Surprised to see so many different sizes of oranges. There use to be a uniformity in size-maybe a slight difference but only opened 1 box and was surprised. Still delicious though. Other candy not opened. The orange segments seemed too hard and sugary as if it were outdated though the expiration date is next March. Maybe that's how it's supposed to be, but I thought the orange slices would be softer and not so white and hard. I have been buying these for many years now. I love them!! There is just not enough of them in one box!!!! The best candied oranges with chocolate I have found any where .. USA and or Europe!! Absolutely the BEST EVER!! I received my item on time and in perfect condition! As an Executive Chef opulent presentation and attention to the smallest detail are key to success. You orange slices are what every one knows to give me for that very special occasion. My hats off to you continuing this uniquely crafted item. Just got a dozen for my birthday and I could not be happier. This is the first time I have ordered them and they are delicious. Would order again. This reminds me of the cake my grandmother made me for my birthday every year. My daughter and I love this orange and chocolate candy. Wish my grandmother was here to enjoy it. 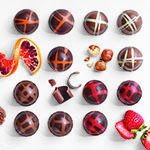 These chocolate-dipped confections are a treat beyond the ordinary - perfect to give as a gift, but be sure to order a box for oneself as they sell out fast around the Holidays. 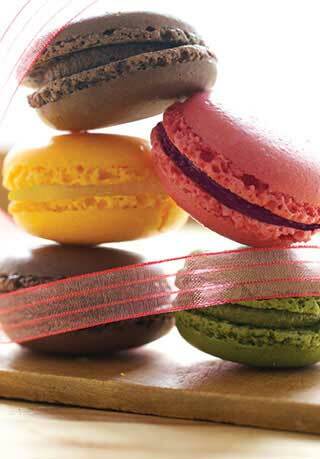 Perfect blend of candied citrus with delectable chocolate. Heavenly! I received this in a gift box. They are divine! Tried to order more but are out of stock. These are absolutely divine. However, a note on the packaging change: I have ordered these a few times in the past and was a bit shocked this time to find that the new packaging is just 12 slices (several of them very small)- I see now that it clearly says 12 count, but the former packaging was a double layer of what had to be at least 8-10 slices per layer, so this was disappointing. 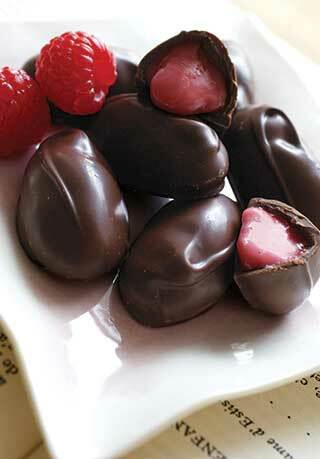 This fruit and dark chocolate delicacy is so sumptuous. It has to be tried to be believed. A touch of heaven in your mouth! If you can find better, let me know. The orange is fantastically candied, and the dark chocolate makes it a perfect treat. This is the one thing my husband always asked for at Christmas, and I will always put this on my list. Godiva isn't even close. The Parisian Pecan Nut Balls come in second. 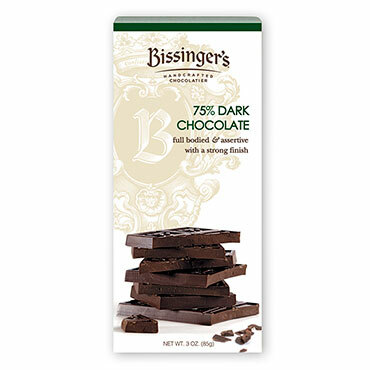 Thank you Bissinger's for creating quality products! INGREDIENTS: Glaceed Orange Slice (Orange, Sugar, Glucose Syrup, Natural Flavor), Dark Chocolate (Unsweetened Chocolate, Sugar, Cocoa Butter, Soy Lecithin (an emulsifier), Vanilla.